Toyota and Sumitomo Mitsui Auto Service Company are joining up to form a new company called Kinto. Realizing that as society shifts from conventional car ownership to car usage that can be enjoyed wherever and as needed, Kinto is a unique take in the automotive subscription service. 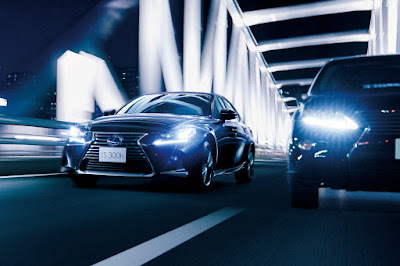 Initially launched for the Japanese market, Kinto will offer two tiers: Kinto One which allows a subscriber to drive one Toyota-brand vehicle over a three-year period and Kinto Select which allows customers to drive 6 models of Lexus-brand vehicles over a three-year period. Like all other automotive subscription service, Kinto includes in its monthly fixed sum things like insurance payment, vehicle tax, registration charges, and regularly scheduled maintenance. What makes it different though is that Kinto will reward subscribers based on how well they drive. Toyota has yet to fully explain how this works, but assuming that the vehicles come with an in-car connected system, perhaps it can monitor how safe or ecological the driver is. In turn, the points earned can be used for either payment or discounts on the Kinto service. Currently, Kinto will be deployed on a trial basis first at selected Toyota and Lexus dealerships in the Tokyo area with a planned full Japan roll out by the end of the year.